(NaturalNews) In case you missed it, Walmart made global headlines earlier this year after meat sold in its Chinese market tested positive for the DNA of other animals. Meat labeled as "Five Spice" donkey meat apparently contained fox meat as well, sparking a massive investigation into the supply chain from which the meat came. 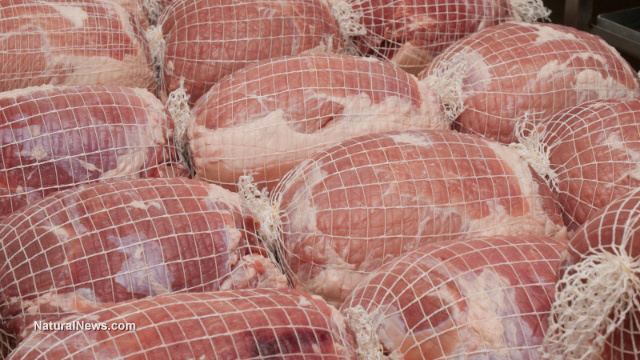 Walmart immediately issued a recall of the tainted meat and, subsequently, upped its food safety budget more than threefold from $16 million between 2013 and 2015 to $48.2 million. This additional funding, says Walmart China's chief compliance officer Paul Gallemore, will be used to conduct more supplier audits and food testing. According to Bloomberg, the tainted meat came from a local Chinese supplier that was unlicensed, a common business practice at Walmart. Since the story went public, Walmart has been quick to announce changes to its supply chain, with plans to have all vendors present valid permits and government inspection reports prior to supplying their goods in stores. "The inspections expand on Wal-Mart's pledge to improve food safety after incidents including the sale of sesame oil and squid with hazardous levels of chemicals found in 2012 and the mislabeling of regular pork as organic a year earlier," writes Natasha Khan for Bloomberg. "Walmart uses 'special approvals' in China with suppliers it already does business with ... (and) [s]uch approvals are only used in exceptional cases and require three levels of management approval on an item-by-item, supplier-by-supplier basis." Food safety issues at Walmart stores throughout China have been frequent throughout the past several years, raising questions about how the company conducts business in other prominent markets, such as the U.S. However, the company has made it clear that the Chinese market is its primary focus moving into the future. "We see this as our future home market," stated Gallemore to reporters, noting that Walmart plans to open an additional 110 stores in China by 2016. There are currently roughly 400 Walmart stores operating in China. Even so, Walmart faces an uphill battle supplying quality items in China considering the country's dismal track record of food safety. Last year, Chinese authorities arrested 900 people for trying to sell fox, mink and even rat meat as mutton. Many of the country's waterways have also been found to contain dead pigs and other animals, which is partially responsible for polluting at least 20% of China's arable farmland. A recent report by Asia Inspection, a China-based food quality control company, found that more than half of Chinese food processing and packaging companies failed their safety inspections in 2011. With imports of Chinese products and food into the U.S. constantly on the rise, this report should give pause to every American who shops at places like Walmart that supply mostly Chinese-based goods.